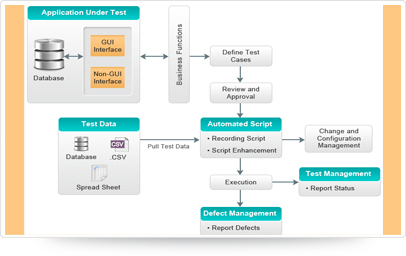 Software test automation continues to play an increasing role in software quality assurance. Coromandel Infotech’s test automation methodology delivers cost-effective test automation using a structured, common-sense approach that focuses on optimal scenarios to use test automation. It assures that defects do not re-appear while new features and functionalities are added. It also reduces manual testing regression cycles. Our automation test methodology has been developed to work in many test automation environments providing tangible benefits. Our automation teams work closely with the clients to help them with initial test planning, selection of the right automation tool, its configuration by validating the tool in tool review phase. The main reason for configuration is to ensure that the tool works reliably and efficiently with the technologies used to develop software applications. We start any automation project with proper test planning, which includes setting up test beds, designing of automation scripts and executing scripts. The automation team would be responsible for assuring that the test can be successfully and cost effectively automated. With our clients, we identify crucial areas of the application, which can be automated for increased efficiency. We use the following best practices to improve testing process. Determine the tests for automation that produces the most benefit. Create an automation plan and set a goal for automated testing. E.g. : Speed up testing to allow for frequent releases. 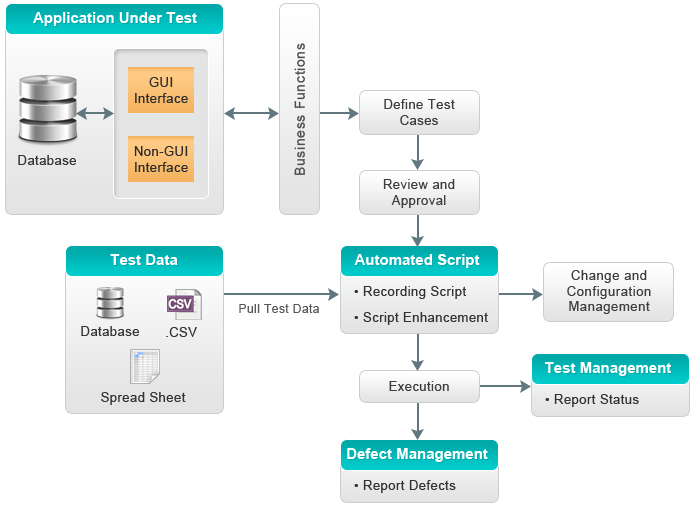 Identify the types of tests to automate like Regression testing, Data-driven testing. Select the tool that best supports the AUT technology. We do POC to determine it effectively. We create an automation testing standards document customized for the client’s project and also separate document that lists all automated tests and the objective for each test. We create scripts that are Reusable, Understandable, Maintainable and Modular. We have proprietary Automation Frameworks for QTP and Selenium which can be customized easily for any application’s Automation. It saves time enormously when developing framework.